Reynolds 531c DB tubing built on Prugnat S4 lugs as a top quality machine for a keen CTC rider suitable for Audax events. Full wrapover seatstays with unusually, no topeye decorations, curved reinforced seatstay bridge, cantilever brake bridge and a straight chainstay bridge. 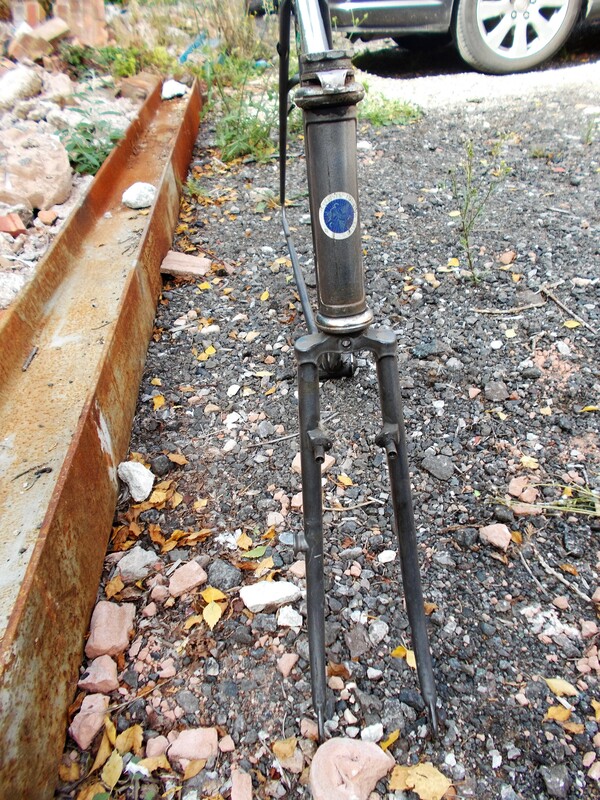 The forks are sickle shaped in a cast semi sloping fork crown yet to be Identified in a style of Cinelli perhaps. 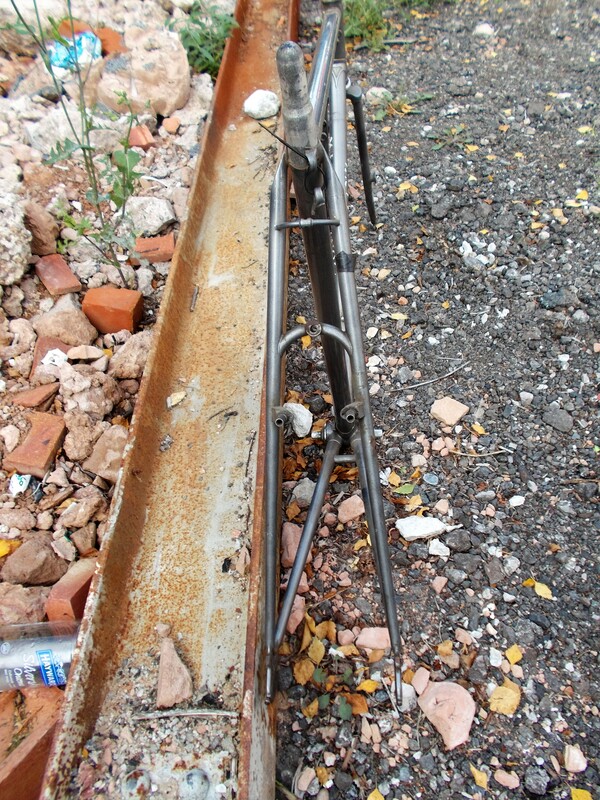 Cantilever brake bosses and brake bridge, bottom bracket derailleur guides and chainstay cable stop. Rear brake cable guides and stops under TT at 4/5 o’clock. Mudguard eyes on dropouts. Bottle bosses on down tube. Lamp boss on the off side fork blade. Strangely for what looks like an original finish on a good quality frame there is no lug lining or decoration beyond the gothic script down and seat tube transfers and the 531c decal. Even the head badge is missing and has a CTC transfer. It deserves better. Nice frame that looks like the seat pin may be stuck as the seat clamp had been forced and broken. 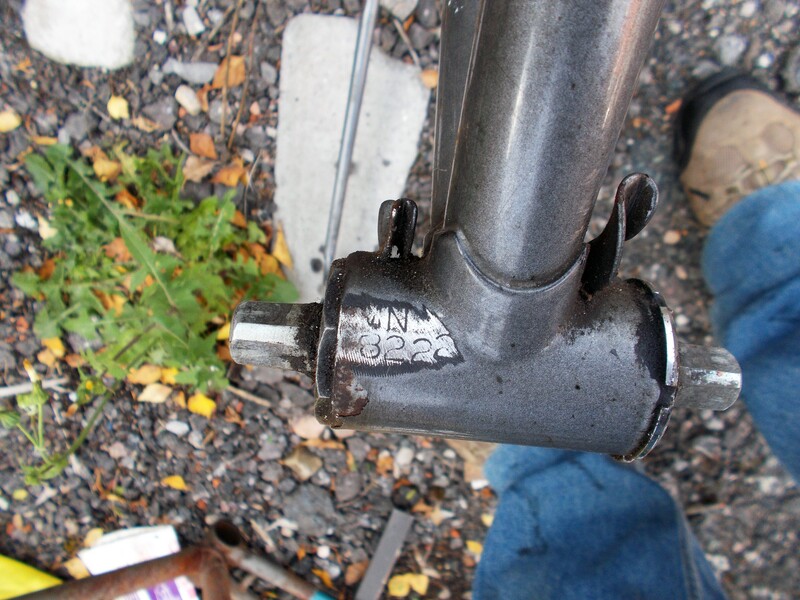 This may be one for the caustic soda treatment to save the tubing as it is the lighter 531c. 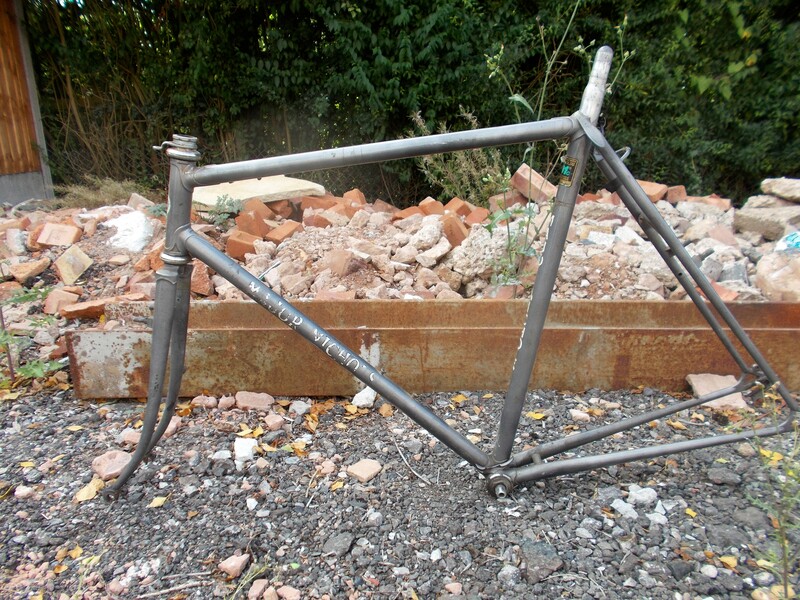 if it is stuck it is an ideal candidate as the frame needs a refinish.